Shower mixer taps are basically showering taps, which connect both hot and cold water supplies in the bathrooms. These taps mainly work by blending the existing hot and cold water in a single valve before sending that to the shower head. Here the flow of water that the user gets depends entirely on the pressure of the water system. Besides, here the temperature and the water flow can be controlled either through a shower valve or through the adjusting bath taps. No matter which option you select, you will get complete control ensuring that you can choose the desired temperature. But before installing the shower mixer taps, it is necessary to check whether the shower can work with the existing home water system of your place. While most of these taps are well-equipped to work with almost any system, some of these just work with the low or high-pressure systems. 1. Sequential mixer taps: This is the simplest type among all. All credit goes to the single rotary control. One just needs to start the shower by turning its control and the more the control is turned, the temperature becomes hotter. 2. Single level mixer taps: It includes a single level, which can either be moved up and down for controlling the water flow from the shower taps. Besides, the user can also control the temperature of water by moving the lever from one side to another. 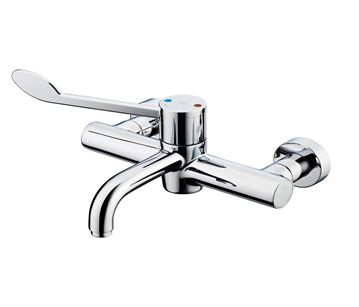 This tap style is available in two types, namely concealed showers, and exposed showers. 3. 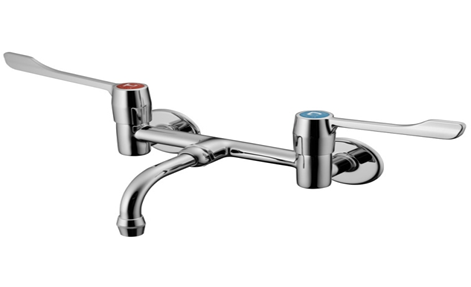 Concentric mixer taps: This style includes two rotary style controls, which are located on top of one another. Here one can turn on the shower by turning its outer control and can operate the flow of water. On the contrary, the inner control of the tap can regulate the temperature. So, turning the control one-way can make the hot water flow and another way can make the cold-water flow. The best thing about this tap style is that here the user can set the inner control of taps to the desired temperature before switching off the shower. This way, the user can get the desired temperature immediately after turning on the shower. 4. Bar mixer taps: This style includes two controls, but both of these are on one bar. Here one control is designed for the water flow where another one successfully manages the temperature. Besides, this tap style also comes with diverter valves rather than flow controls that allow the users to switch water between a shower handset and an overflow shower head. 5. Dual control mixer taps: This style comes with two controls, one that operates the temperature and another one that operates the flow. Some of the models also replace the control of flow with diverter valves that allow the users to switch the water flow between the bath filler and two showers tap heads.